"In a different era, colleagues translated books because they believed in the project. That’s not a luxury I have today." University of California Press Acquisitions Editor Kate Marshall specializes in publishing books on food, the environment, and Latin America in the social sciences and humanities. I talked to Kate during the editor’s week of the Buenos Aires Book Fair. Frances Riddle: What gap in the publishing landscape does UC Press aim to fill? Kate Marshall: UC Press is one of the leading university presses in the United States, the largest university press west of the Mississippi and the only major press affiliated with a public university. We publish in many fields but our press is especially known for publishing on progressive social issues, like inequality, human rights, and the environment. We do a lot of books in interdisciplinary fields, books that transcend formal disciplines. FR: About how many translations does UC Press publish annually? KM: It varies tremendously. I joined UC Press a little over six years ago and at the time we had a large business of importing co-publications. Some were books in translation. For example, we did a series of dictionaries with Mondadori. Mondadori handled the translation and production and we would market and distribute the North American English-language edition. My sense is that we published more translations before 2008, but only because we had greater resources to invest in our books before publication when print runs were higher. Now, our catalog might have one or two translations per season. These books might be great works of scholarship and there’s a market and need for the title to exist in English. The challenge scholarly book editors face, however, is that scholars can often read the original language, so a book you’re considering for translation requires an audience broader than just specialists. Latin American historians in the United States, for example, read Spanish and Portuguese, so there’s not a significant market for translations of specialized monographs from Spanish to English, as the target audience can read the original. If there’s a student or general market for a Spanish language book then there’s a reason to do the translation. FR: How do you decide which works from other languages you might want to publish? KM: Well, for example there’s a book I’m trying to publish by a Latin American historian who is French. Most Latin American historians in the United States read Spanish or Portuguese but they don’t necessarily read French. This is a really well-known scholar and there’s a need to have his work in English, particularly for the classroom and for general readers. FR: How much of a role does the marketability of a foreign title or author play in your selection of a work for publication? KM: I would say that nearly every decision we make is now influenced by market factors. Books I put under contract must meet minimum thresholds for anticipated sales units. It wouldn’t be prudent to put an important book under contract if I know it will only sell 400 copies. I have to believe that even a specialized book can sell at least 800 or 1,000 copies. In a different era, colleagues translated books because they believed in the project. That’s not a luxury I have today. FR: What are the biggest challenges to publishing non-fiction translations in the U.S.? KM: One challenge is that different countries have distinct intellectual traditions and methodologies. I want to translate more Latin American scholars into English for my Latin American studies list. At the same time, I want more of our books to be translated into Spanish, too. Of course, many of our books on Latin America cover topics that don’t interest the Latin American publishers, such as Latin American immigration to the United States or global poverty. We publish a lot of ethnography; they want more theory. Scholars have different sets of intellectual concerns or theoretical traditions in different countries. It’s a special book that transcends the interests of a local audience. Of course, I also think the biggest challenge is finding the right translator at a price that works for our limited budgets. Translation is an art. A translator isn’t just someone who is fluent in another language. They have to be a talented writer, too. Excellent and affordable translators are hard to come by. I had a bad experience where I didn’t have the budget to go with a gifted translator who wanted $15,000 for a short book – it was just too much. Instead, I went with a translator who was willing to take $8,000, but they weren’t able to develop the book in the way that we needed for our market. In-demand translators charge more for good reason, but it’s happening during a moment when book sales are declining. So what we paid translators ten years ago isn’t necessarily an option today. FR: What have been some of your successful translated titles? KM: When I first joined UC Press, I assisted our former editorial director Sheila Levine. Sheila launched our food list and published a fantastic book called Encyclopedia of Pasta by Oretta Zanini De Vita. Oretta works very closely with the fabulous translator Maureen Faunt. This book is an encyclopedia of 500 different pasta shapes with lovely little histories and cultural stories about each pasta shape. The book got a big review in the New York Times and doubled our anticipated print run in the first year. We sold something like 8,000 copies in the first year. The book is very Italian, it never would have been written by an American author, but the translator was able to translate the author’s charm and expertise in a way that worked for English-language markets. FR: This week in Buenos Aires, have you come across anything that you might want to publish in translation? KM: It’s been fabulous to visit publishing houses here and I love Siglo XXI. I own lots of books from their press and would love to translate one of their big history books, or even some of their textbooks for students. Fundación TyPA’s program is focused this year on the Argentine ensayo, which is a form that doesn’t perfectly translate to the U.S. audience. I think this is a great moment for long form journalism in the United States, but long essays in book form would be harder for me to market. Many of the Argentine essays I’ve encountered are very culturally or regionally specific and wouldn’t translate particularly well into foreign contexts. I could probably have success doing a big general history of tango or some other trope of Argentine national identity. FR: Do you think that works in translation will one day have a better foothold in the U.S. publishing industry? KM: My sense is that there is tremendous energy and excitement for the discovery of new authors, particularly within the realm of fiction writing, and an increased interest in understanding other ways of viewing the world. I think the world is becoming smaller thanks to the internet, digital communication, and the ways people now access and discover information and ideas. I would love to publish more in translation – it’s certainly one of my goals – but I’m also pessimistic about the future of book publishing and the declining resources for investing in high-quality translation. 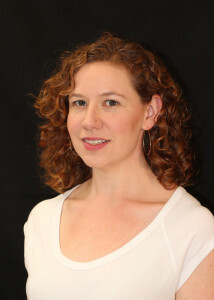 Kate Marshall studied history at Bates College and received a master’s degree in Latin American studies at UC Berkeley. Kate joined UC Press in 2008 and assumed leadership of the award-winning food studies program in 2010. She now acquires titles on several topics, including food, the environment, and Latin America. Her authors come from diverse backgrounds, from the humanities and social sciences to professional kitchens. Across fields, she is interested in book projects that contend with social and environmental justice issues.